"Are You a Project Manager or a Project Witness?" The Electrical Contractors' Association of City of Chicago (ECA) Research and Education Committee is proud to present educational video content that is now available on the ECA website. VIDEO drop down section. A pop-up box will appear and please type in ECAVIDEO as the password. You do not need to be logged into the website to access the material. So, anyone from your firm can use the password to view the material. Electrical Project Supervision (EPS) video series. The videos have Norb Slowikowski, Slowikowski & Associates, Inc. facilitating the programs. The videos are divided into six sections.Each section is disseminated into various sub-sections.Each video has a description and expectation of the content for the viewer to better utilize the material presented. Please note: The last three sections are a work-in-progress as each have the video content; however, full descriptions / expectations are to follow later this summer. This is a 1 hour 37 minute video of the presentation offered during the business session of the ECA 47th Annual Spring Conference. The program was presented by Mr. Phil Gwoke, Bridgeworks. It describes generational communication and its impact on the workplace. This video will only be available on-line until August 31, 2018. Representatives from the Electrical Contractors' Association of City of Chicago (ECA) met with Congressman Brad Schneider on June 29, 2018. Jeffrey Harger, HLP Systems, Inc. The Illinois Mechanical and Specialty Contractors Association (IMSCA) works on behalf of ECA and a number of statewide subcontractor trade associations in regard to business issues brought before the Illinois General Assembly. Please click on the "Learn More" link for a Summer update. The ECA Research and Education Committee is proud to sponsor three programs in the Fall: "Interviewing Skills" leads off on September 19th, "Are You a Project Manager or a Project Witness" is on October 17th and "Benefits of NECA" is on November 15th. Please click on the "Learn More" tab below for information and registration for these programs. The Electric Association Membership Awards Dinner will be held on Thursday, October 18, 2018, at the Carlisle Distinct Banquets in Lombard, IL.ECA member, Ken Bauwens, EIT Management Chairman, Jamerson & Bauwens Electrical Contractors, Inc. will receive the "Hall of Fame Award." Hall of Fame inductions are designed to honor outstanding individuals who have played a key role in the development and nurturing of the electrical industry and who have played a creative role in Chicagoland. This award recognizes individuals whose innovation, hard work, dedication, and vision have fostered industrial growth and social progress. We congratulate Ken and all of the other awardees. The 2018 Electric Association Membership Award Recipients are: Gold Medal Award - Thomas O'Gara, Remke Industries, Hall of Fame Inductions: Ken Bauwens, Jamerson & Bauwens Electrical Contractors, Jim Kingsley, Callas-Kingsley Electrical Sales and Steven Monforton, Environmental Systems Design. Visit www.eachicago.orgfor registration information. The NECA 2018 Convention will be held in historic Philadelphia! We hope that you will join us in the "City of Brotherly Love" to experience the numerous educational and business programs, learn about the newest updates in technology. We hope that you will visit the many sites in Philadelphia, including the Liberty Bell, Independence Hall (where the Declaration of Independence and Constitution were signed), the iconic "Rocky" steps at the Philadelphia Museum of Art, among many others. The ECA Executive Committee approved the stipend of the Registration Fee for up to two representatives and their guests from each ECA member firm that registers for the Convention. The registrations will be reimbursed to the applicable companies after the Convention. The event is being held September 29 - October 2, 2018. Registration opened May 31, 2018! Over the past 6 months, NECA's Energy Conservation and Performance Platform (ECAP)has provided $31 million in project financing to NECA contractors. Based off of that success, and in an effort to support the association's 1025 initiative, NECA is piloting a new inventory finance offering throughECAPas a way of helping small to mid-size contractors manage their cash flows. This is afree and exclusiveservice for members.There is zero cost to open or maintain the line of credit, regardless of whether or not it is used and there is no pre-payment penalty. The line of credit ranges from up to $250,000 with the simple form and up to $5 million when additional information is provided. If you'd like to get started now, contactMirMustafa atMMM@necanet.orgor (301) 215-4556. 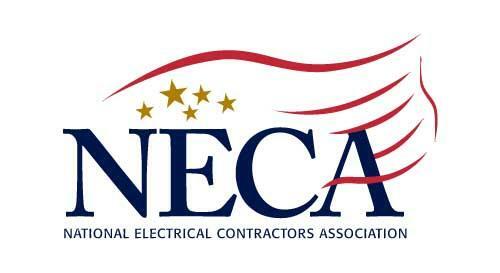 The National Electrical Contractors Association (NECA) will be hosting its secondannual NextGen Conference September 5-6, 2018, in Washington, D.C. This annual meeting is the premiere legislative conference for the next generation of electrical contractors to learn about the top issues affecting the industry and to meet the leaders who are working to provide real solutions. This conference is designed for NECA contractors who are the emerging leaders in their companies and who are looking for opportunities to get involved in NECA's government affairs efforts. If you regularly attend NECA's Annual Legislative Conference, send a recruit in your company or chapter with an interest in Advocacy to attend this very unique conference. This is an introductory conference for NECA members that are new to government affairs. Please do not sign up for the NextGen meeting if you regularly attend NECA's Annual Legislative Conference. NextGen attendees will be fully briefed on NECA's top legislative issues and instructed on how to have an effective meeting with their Member of Congress. A new report, "Supply Chain Disruption," investigates the impact of owner-supplied or GC-supplied material and equipment. This investigation was conducted by MCA, Inc., and focused on evaluating the value transfer throughout the construction supply chain to the end customers. In this research report, contractors will learn more about ways the issues of cost, time, and quality can be used to explain to developers and GCs why direct purchase may not be the best (profitable) route to take. The ELECTRI report details how cost reduction is a collaborative approach to information sharing and cost reduction when the waste of resources is reduced and productivity and throughput are increased. PLEASE CLICK HERE FOR A BROCHURE & REPORT. The future of the human race is interlaced with the future of the planet, and the sustainable practices we celebrate and advance at Greenbuild remind us that our success as sustainability advocates, practitioners and professionals is more than a movement, it is a responsibility. Please click on the "Learn More" link for registration information. The Electrical Safety Foundation International has released some new resources on the National Electrical Code (NEC)®for organizations including electrical contractors. For a listing of coursework available through the Construction Safety Council (CSC) for the month of August 2018, please click on the link:www.buildsafe.org.